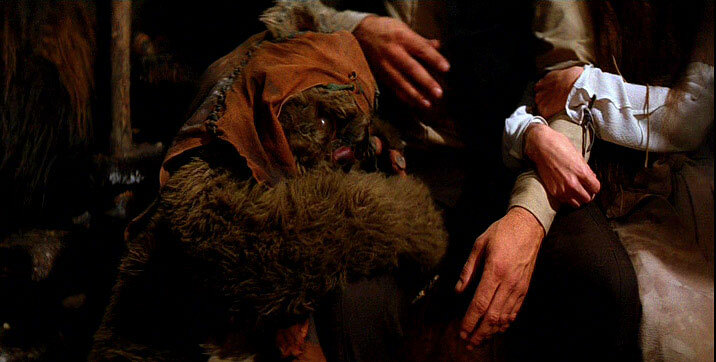 There are several costumes in Star Wars that require fur, faux fur specifically; the most notable are the Ewoks. 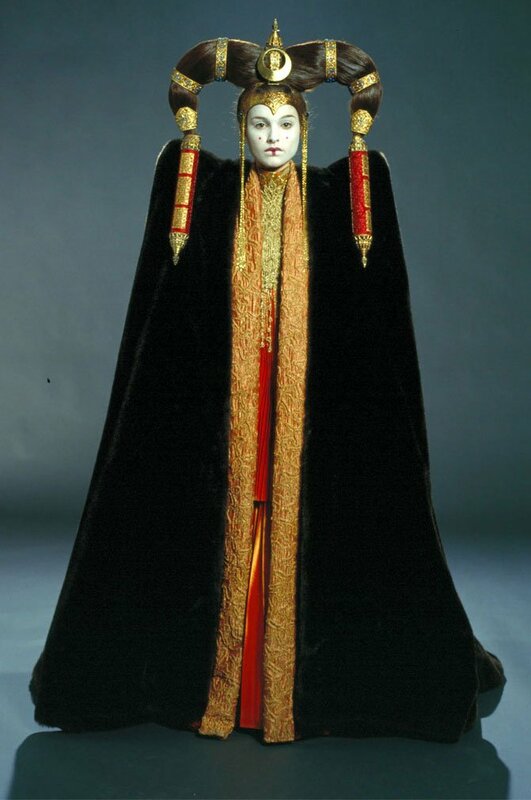 Less noticeable is Queen Amidala’s Red Invasion gown from [The Phantom Menace], as well as the cape that goes with Amidala’s Senate Address gown from the same movie. 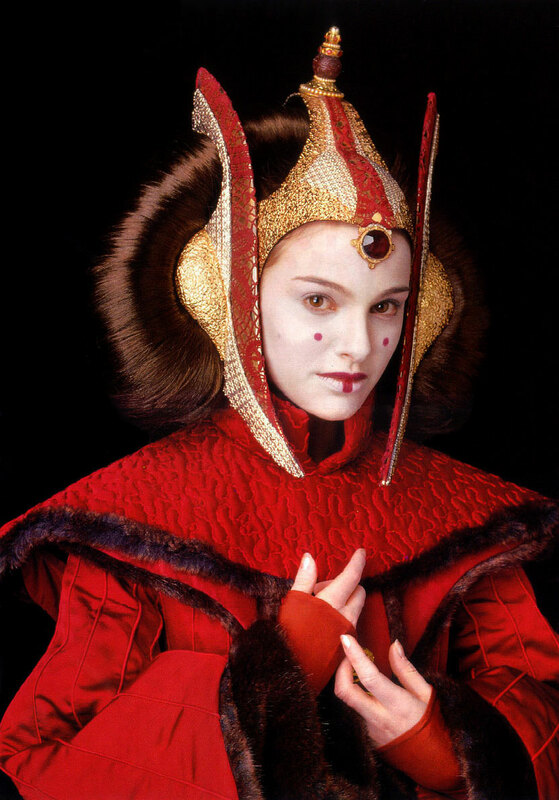 Moire fabric is likely the kind of fabric used in the body of the gown of Padmé’s deleted scene senatorial gown from (Attack of the Clones). Moire fabric is sometimes called watered silk and historically Moire was made into silk taffeta and now is made into other, sometimes synthetic, fabrics. 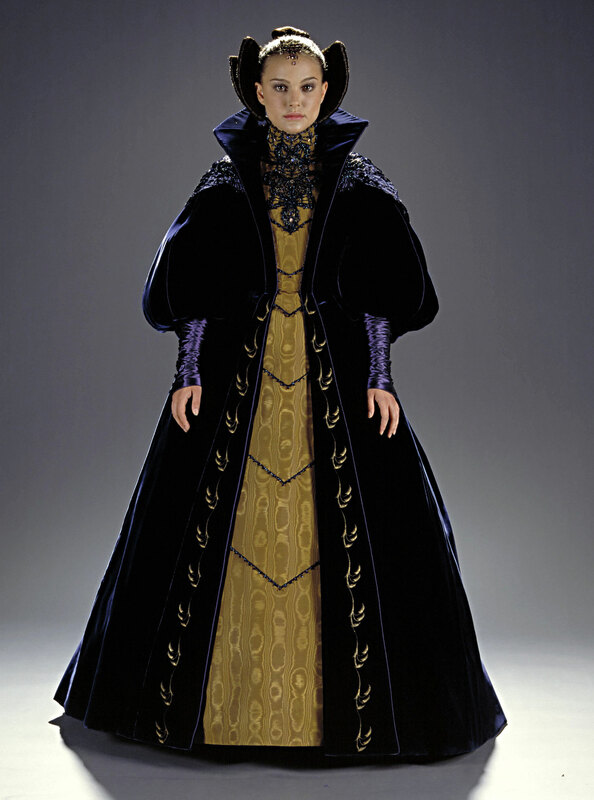 For Padmé’s senatorial gown it’s likely to assume that it is made out of Moire silk taffeta, in gold.